Max MC Parts ApS started on March 1, 2016 after the purchase of the two bankruptcy companies Max MC Import A / S and ScanMi Aps. Likewise, the premises at Als near Sønderborg have been taken over. The product range continues largely as the mc, scooter and cross-key catalogs show. Several product groups are expanding and more quality products have come to fruition. And there are more on the way.In addition to the more than 60 agencies on accessories, Mac MC Parts also has Hyosung, BETA and Generic / KSR vehicles and spare parts. The approximately 100,000 product numbers are found in the 2,000 square meter large premises, which also contain administration and large meeting facilities. Major investments in computer systems and webshop have made the company a state-of-the-art company that sends packages directly to private customers and dealers via PostNord. 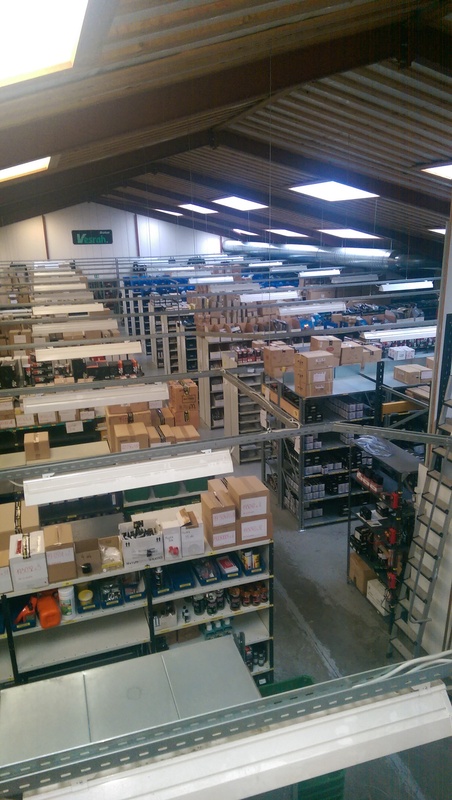 The company has five employees, who through many years of experience and know-how serve a total of approximately 400 dealers in Denmark as well as several countries in Europe.